grass stains: New desk chair ... with nailhead trim! 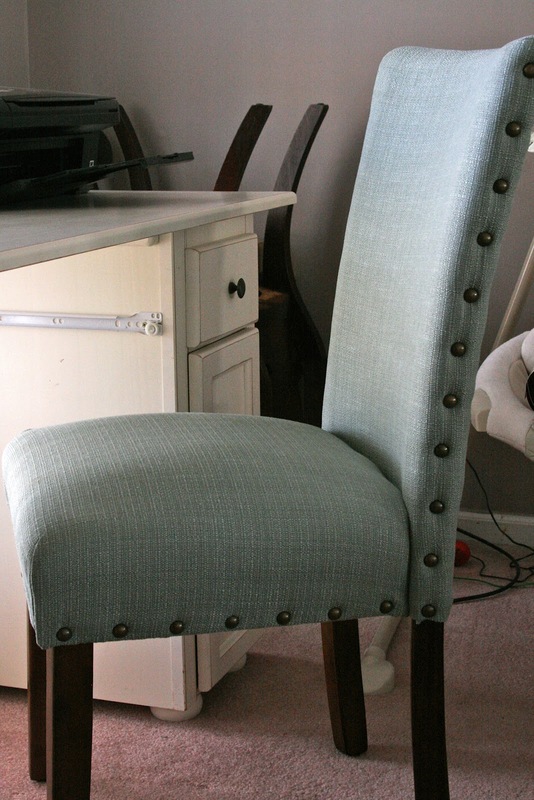 New desk chair ... with nailhead trim! Over the past few months, I've been transitioning our den from a warm color palette to a cooler one. Big Brown, our giant brown sectional, has to stay, so I'm working around it. 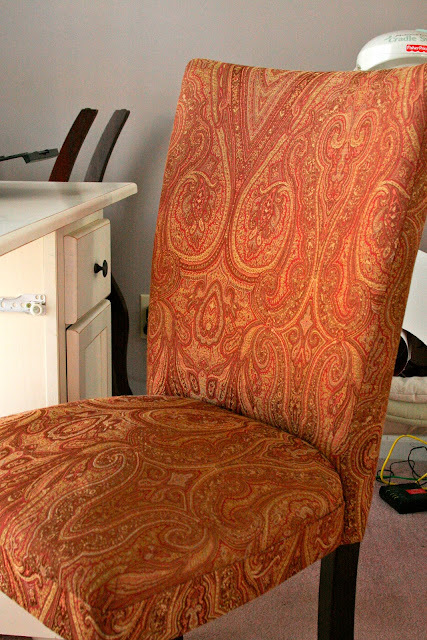 We used to have golds and reds to accent it, such as this chair. Since I really like the way the red chair "sits," I decided to go to Kirkland's to see if they had a blue or green one in the same style. They did! 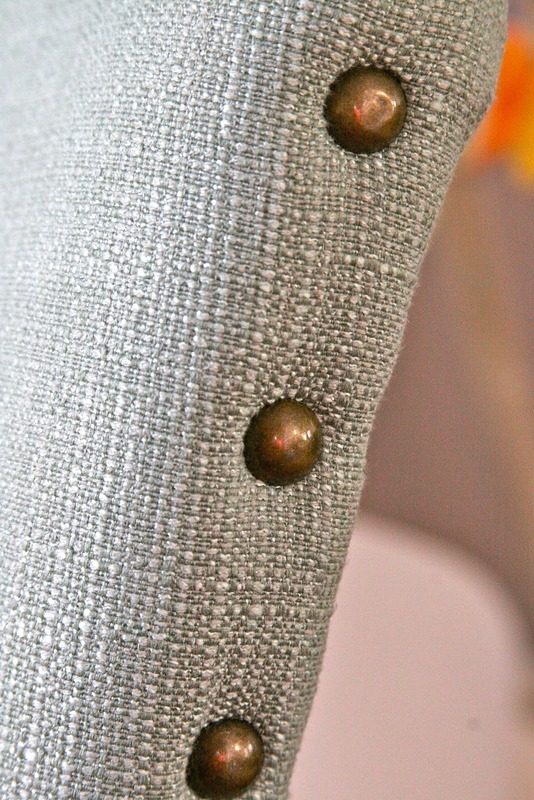 And let me just tell you, I was ALL ABOUT the nailhead trim on that chair. I walk over to it and just stare at the nailhead trim about three times a night. 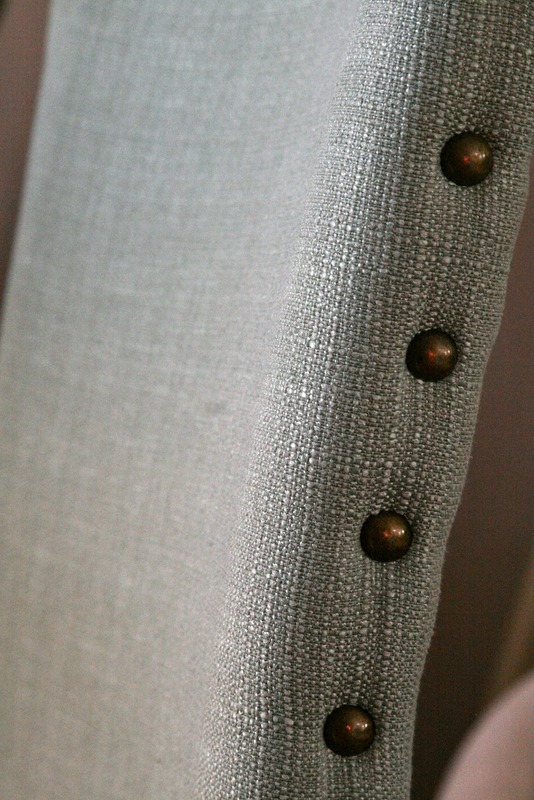 The chair is a soft blue, not that dated "country" blue, but almost a silvery blue. It's a much cooler color than I ever would have seen myself going for in the past, but Emily and Rene have done a great job of pushing me out of my comfort zone with their mood boards for my home. Plus -- and I may have mentioned this before -- NAILHEAD TRIM. So far all I've gotten changed in this room is painting the brick fireplace surround and getting new throw pillows for the couch, but I hope to paint the walls soon. Can't wait to share! I love it! 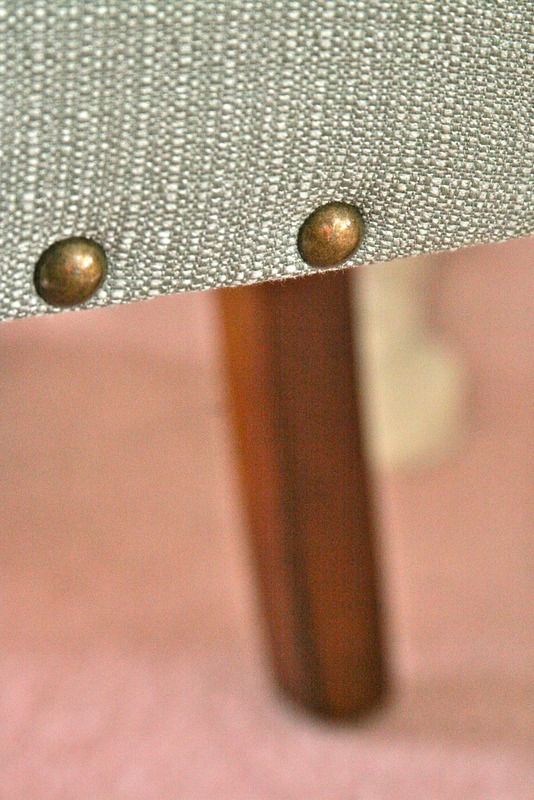 The nailhead makes the chair, in my opinion. Funny that you have to work hard to transition to a cooler color scheme. My entire house is done in "cooler" colors. I had to really push myself to be ok w/Gabe's bedding- PBK Madras- because of the red in it. I love it now but it took a while! Looks awesome!! I love that color blue - it is so calming. And I can imagine in your house with 3 boys calming is probably a good thing :) Hope you have a wonderful day! I love the nailheads, too. It makes it less formal in an area that you want to be more gender neutral. Looking forward to see what color paint you have chosen.